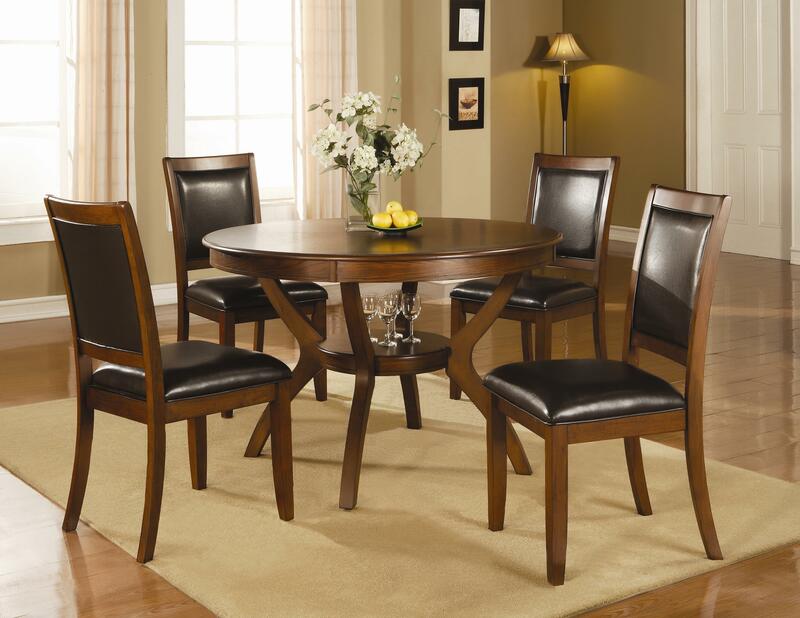 Dine casually with a few friends using this five piece table and chair set. The table features a bottom shelf where you can display decorative pieces and a wide spacious top for easy dining. The complementary chairs have lovely upholstered seats and backs and stately flared back legs. The entire set has been bathed in a lovely brown walnut that you will surely love! The Nelms 5 Piece Table and Chair Set by Coaster at Michael's Furniture Warehouse in the San Fernando & Los Angeles area. Product availability may vary. Contact us for the most current availability on this product. 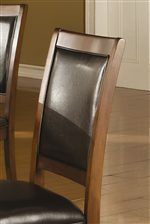 Make a casual fashion statement in your dining room area with the Nelms collection. Made out of select hardwoods and veneers in a brown walnut finish, this lovely set will bring a contemporary appeal to your room style. Sleek straight lines and flared backs grace these pieces with an alluring characterization you will love! The Nelms collection is a great option if you are looking for Contemporary furniture in the San Fernando & Los Angeles area.